San Francisco is known for nature, museums, parks, nightlife, and shopping. 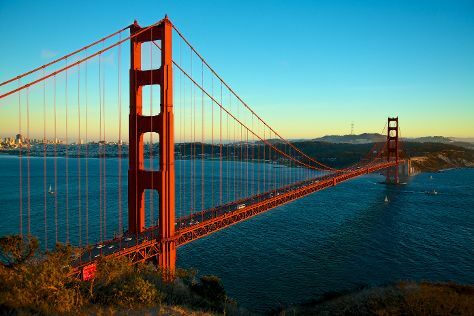 Your plan includes some of its best attractions: take in the views from Golden Gate Bridge, admire the natural beauty at Japanese Tea Garden, wander the streets of SoMa, and step off the mainland to explore Alcatraz Island. To find ratings, more things to do, traveler tips, and more tourist information, refer to the San Francisco road trip planning tool . Melbourne, Australia to San Francisco is an approximately 20-hour flight. You can also do a combination of flight and subway; or do a combination of train and flight. The time zone difference moving from Australian Eastern Standard Time (Victoria) (AEST) to Pacific Standard Time (PST) is minus 18 hours. Traveling from Melbourne in July, things will get a bit warmer in San Francisco: highs are around 26°C and lows about 16°C. Wrap up your sightseeing on the 26th (Fri) to allow time to drive to Yosemite National Park. Spend the 29th (Mon) exploring nature at Bridalveil Fall. 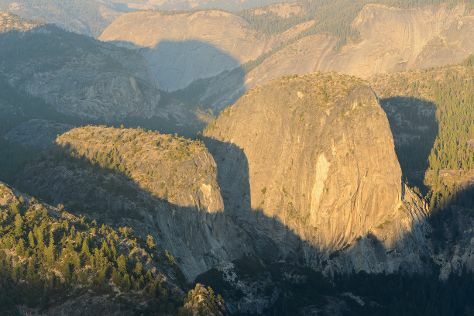 The adventure continues: explore the striking landscape at Glacier Point, take some stellar pictures from Tunnel View, make a trip to Yosemite Conservation Heritage Center, and stroll through Tuolumne Meadows. To see maps, traveler tips, ratings, and other tourist information, go to the Yosemite National Park journey builder site . Drive from San Francisco to Yosemite National Park in 4 hours. Alternatively, you can take a bus; or do a combination of subway, flight, bus, and taxi. Traveling from San Francisco in July, you will find days in Yosemite National Park are a bit warmer (33°C), and nights are slightly colder (9°C). Wrap up your sightseeing by early afternoon on the 30th (Tue) to allow enough time to drive to Las Vegas. Step out of Las Vegas with an excursion to Hoover Dam in Boulder City--about 50 minutes away. And it doesn't end there: admire the local landmark of Bellagio Fountains, admire the natural beauty at Bellagio Conservatory & Botanical Gardens, examine the collection at The Mob Museum, and take in breathtaking views at Red Rock Canyon National Conservation Area. For photos, other places to visit, reviews, and tourist information, refer to the Las Vegas travel route planner . Getting from Yosemite National Park to Las Vegas by car takes about 9 hours. Prepare for much hotter weather when traveling from Yosemite National Park in July: high temperatures in Las Vegas hover around 47°C and lows are around 32°C. Finish your sightseeing early on the 2nd (Fri) so you can travel to Grand Canyon National Park. On the 3rd (Sat), hike the day away at Bright Angel Trail. Next up on the itinerary: explore the stunning scenery at Grand Canyon South Rim, take some stellar pictures from Powell Point, trek along South Kaibab Trail, and stroll through Rim Trail. For where to stay, other places to visit, reviews, and other tourist information, refer to the Grand Canyon National Park online travel route planner . You can do a combination of car and flight from Las Vegas to Grand Canyon National Park in 4.5 hours. Other options are to drive; or take a shuttle. The time zone difference when traveling from Las Vegas to Grand Canyon National Park is 1 hour. Prepare for cooler weather when traveling from Las Vegas in August: high temperatures in Grand Canyon National Park hover around 31°C and lows are around 11°C. Wrap up your sightseeing by early afternoon on the 7th (Wed) to allow time for the car ride to Palm Springs. Palm Springs is a desert resort city in Riverside County, California, United States, within the Coachella Valley. Start off your visit on the 8th (Thu): take an in-depth tour of Palm Springs Air Museum, then shop like a local with VillageFest, then explore the ancient world of Indian Canyons, and finally explore the world behind art at Palm Springs Art Museum. On the 9th (Fri), you'll have a packed day of sightseeing: look for gifts at Brandini Toffee, then take in breathtaking views at Tahquitz Canyon, and then sample some tasty brews at a beer tour and tasting. For more things to do, photos, other places to visit, and tourist information, read our Palm Springs online holiday planner . Drive from Grand Canyon National Park to Palm Springs in 6.5 hours. Due to the time zone difference, you'll gain 1 hour traveling from Grand Canyon National Park to Palm Springs. Traveling from Grand Canyon National Park in August, expect Palm Springs to be warmer, temps between 49°C and 31°C. Finish your sightseeing early on the 10th (Sat) so you can drive to San Diego. Change things up with these side-trips from San Diego: LEGOLAND California (in Carlsbad) and Self Realization Fellowship Hermitage & Meditation Gardens (in Encinitas). There's lots more to do: admire nature's wide array of creatures at San Diego Zoo, get in on the family fun at SeaWorld San Diego, kick back and relax at La Jolla Cove, and examine the collection at Maritime Museum of San Diego. For other places to visit, where to stay, ratings, and tourist information, refer to the San Diego route maker site . Getting from Palm Springs to San Diego by car takes about 2.5 hours. Other options: take a bus; or do a combination of bus and train. Expect much colder weather when traveling from Palm Springs in August: highs in San Diego hover around 30°C, while lows dip to 23°C. Finish your sightseeing early on the 17th (Sat) to allow enough time to drive to Los Angeles. You'll find plenty of places to visit near Los Angeles: Anaheim (Disneyland Park & Disney California Adventure Park). Pack the 21st (Sun) with family-friendly diversions at Universal Studios Hollywood. The adventure continues: examine the collection at The Getty Center, see the sky in a new way at Griffith Observatory, and partake in some friendly competition at Fantastic Race. To see other places to visit, reviews, and more tourist information, you can read our Los Angeles trip itinerary builder app . Melbourne, Australia to Los Angeles is an approximately 18-hour flight. You can also do a combination of flight and train; or do a combination of flight and tram. The time zone difference moving from Australian Eastern Standard Time (Victoria) (AEST) to Pacific Standard Time (PST) is minus 18 hours. Traveling from Melbourne in July, things will get much warmer in Los Angeles: highs are around 33°C and lows about 22°C. Wrap up your sightseeing on the 23rd (Tue) early enough to drive to Santa Barbara. Kick off your visit on the 18th (Sun): awaken your taste buds at some of the top wineries in the area. On the next day, contemplate the waterfront views at San Francisco Bay, then take a peaceful walk through Muir Woods National Monument, then have fun at RocketBoat, and finally examine the collection at Cable Car Museum. To see more things to do, traveler tips, reviews, and more tourist information, you can read our San Francisco planning website . You can do a combination of train and flight from Los Angeles to San Francisco in 4.5 hours. Alternatively, you can do a combination of train, flight, and subway; or drive. Expect a bit cooler temperatures when traveling from Los Angeles in August; daily highs in San Francisco reach 26°C and lows reach 17°C. Wrap up your sightseeing by early afternoon on the 20th (Tue) to allow enough time to travel back home.